It’s probably no news to you that Oxford is basically an open air museum of history. 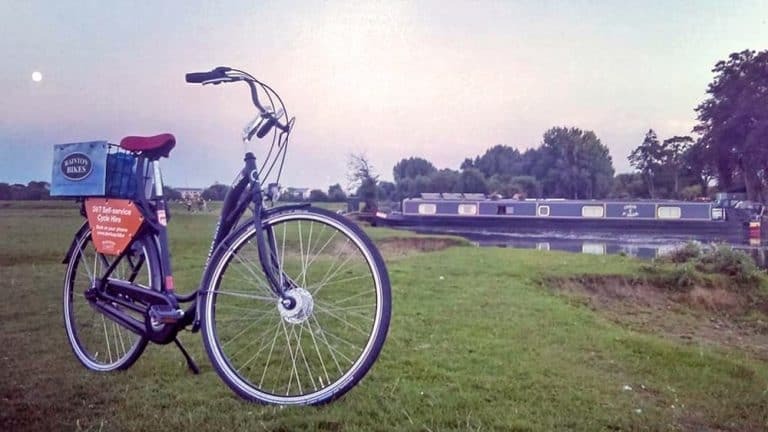 This makes it a pretty large one, though, so if you want to explore it fully and make sure you’re not missing any hidden treasures, you most definitely need to rent a bike in Oxford. 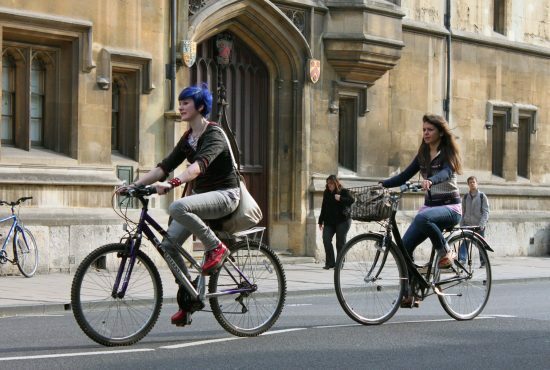 Cycling is quite a natural choice to get around in this city marked by the rich history of its university, but also by the modern vibe constantly refreshed through subsequent generations of students. 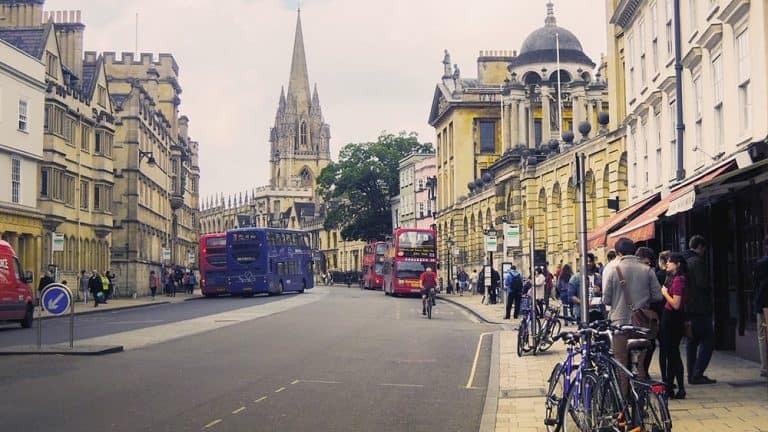 Most of the locals and students bike regularly, in fact Oxford has the third largest cycle commuters community in the UK, and the City Council is making sustained efforts to turn Oxford into the ultimate British cycling city. 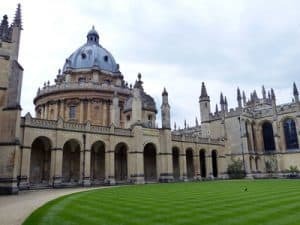 Tour the University buildings, gardens and of Oxford’s colleges, the city’s main attraction, visit all the museums, or just wander around its narrow streets, canals and natural spots. 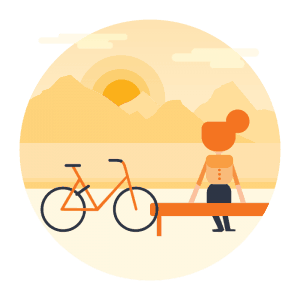 Whatever you do, take a rental bike as your sidekick. We have plenty of bike rental pickup hubs in the city thanks to our local partner Bainton Bikes, who also organises some cool bike tours in the area! The Bodleian Library is simply a fascinating place, so rich with history you could easily spend a full day just wandering around its halls and between its shelves. The guided tours they organise are highly recommended, since you get to see parts you wouldn’t be able to otherwise, such as the famous Radcliffe Camera. 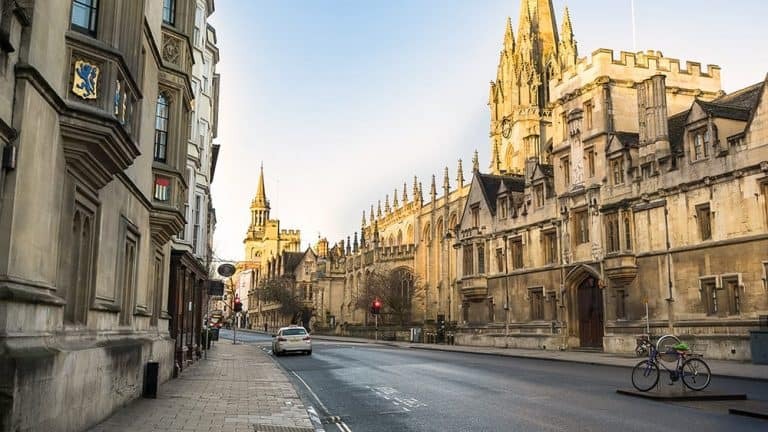 For extra thrills, ride your bike to the nearby All Souls College, cycle under the Bridge of Sighs, take a break at the famous Ashmolean Museum (it’s free!) or explore further north to reach the Oxford University Museum of Natural History if you’re more into fossils and mammoths. There are 184 miles (297 km) walking the path that starts at the source of the Thames river – very aptly named Thames Head – and goes all the way down to its end. Part of it passes through Oxford, from Port Meadow to Christ Church Meadow, and has cycling tracks! 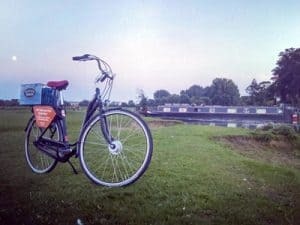 You could start a bike tour at Oxford Castle, since there is a bike rental pickup location nearby, then cycle up to Port Meadow on its right side, so as to return along the cycling track that will take you to Christ Church Meadow. There, you can spend a relaxing afternoon on the grass or continue exploring the Christ Church area on your rental bike. Here’s an approximate River-Thames-themed bike route you can follow. 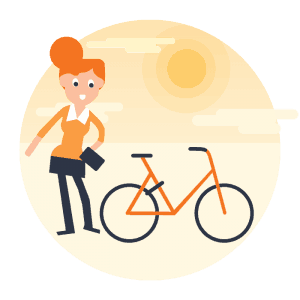 Always ride your rental bike on the left-hand side of the roadway, and never ever go against the traffic flow (unless you are on a two-way cycle lane separated from traffic, such as the new Cycle Superhighways). When approaching a junction on the left, beware of cars turning in front of you, out of or into the side road. Before you turn, check for undertaking cyclists or motorcyclists. Do not ride on the inside of vehicles signalling or slowing down to turn left. Pay extra attention to those nasty big trucks, they’re pretty dangerous to cycle next to, especially at junctions. 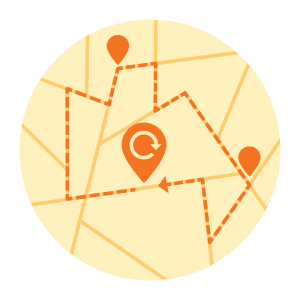 Check the traffic, signal and move to the centre of the road. Wait for a safe gap in the oncoming traffic and give a final look before finally turning. If you’re turning right somewhere where there’s a mandatory two-stage turn in place, move to the marked waiting area, then turn on the green light. Further safety information is available here.